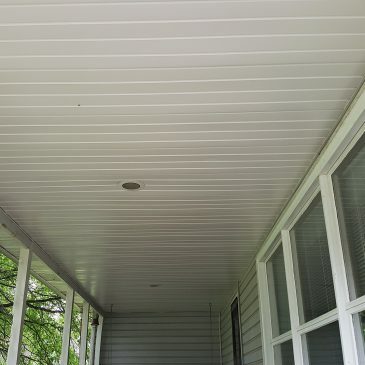 Here is a porch where we installed aluminum soffit for a nice, clean looking, low maintenance ceiling. 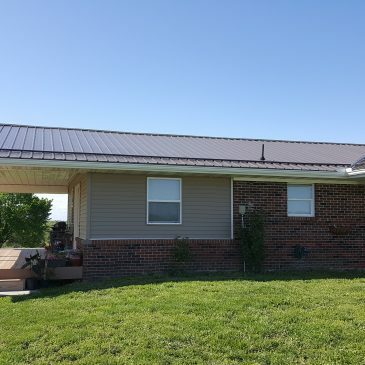 We installed 5″ seamless gutters and ice-guards on this remodeled house and shop. 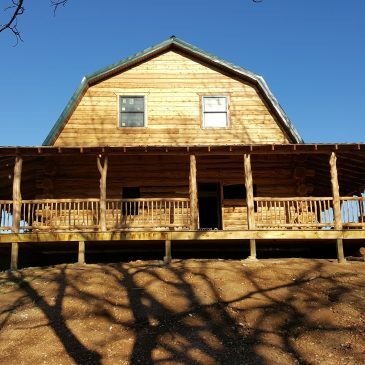 Log cabin home that we put wrap around gutters on. 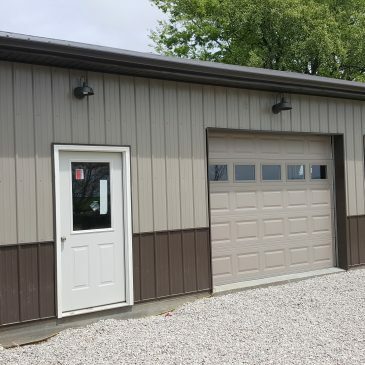 The color is Royal Brown, with commercial size downs for the size and pitch of the metal roof. Soffit, Fascia and Gutters on big new House. 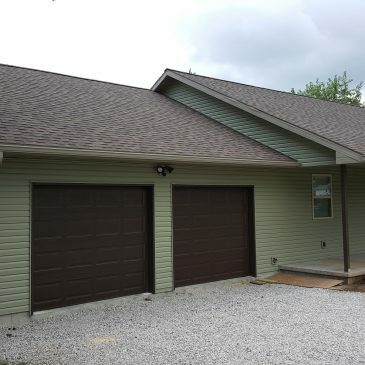 Soffit, Fascia and Seamless gutters on a small rental.